The almighty US dollar, as we know it, is facing possible, if not likely, collapse in the coming years. Either from another bout of quantitative easing or a successful petrodollar putsch favoring the renminbi, rial, ruble or even gold – American monetary hegemony is at a crossroads. Once the sell off begins, there is no turning back. What was once an obscure topic – the Federal Reserve – has in recent years, because of Ron Paul, the Tea Party and Occupy Wall Street movements, almost become part of retail politics. Americans are overwhelmingly in favor of a full and public audit of the Fed and outright abolishing the nearly 100-year-old private central bank is not out of the question. What is in question is: what system would replace it? While many a prepper would argue that having one’s own means of production is the only real way to ensure the individual in the coming inflationary squall, the country’s monetary policy has options – diversify. The currency in which we hold our assets – the Federal Reserve Note – can be exchanged for gold, silver and other tangible and exchangeable goods. Our communities can also initiate and participate in multiple alternative currency networks. Ron Paul has proposed a return to the constitutional gold and silver based currency that was in place since the founding, and has also proposed a Free Competition In Currency Act, which calls for the “repeal the legal tender laws, to prohibit taxation on certain coins and bullion, and to repeal superfluous sections related to coinage.” Under the Federal Reserve’s stewardship the US dollar has lost most of its traditional value (take a look at their own numbers), hence the recent historic heights of gold and other precious metals – Gresham’s law in full effect. What many people don’t know is that several localities already issue their own local currencies. Charlotte has a “plenty.” Ithaca, New York has “hours” (a time-based currency). Washgton D.C. has a local currency called the “potomac.” Detroit also, in response to the current crisis, issues local scrip (any currency which is not legal tender) known as “cheers.” These are modest initiatives but they hold great potential. The US Constitution allows states to issue their own currency, as long as it is back by gold or silver. Utah recently passed a law where gold and silver coins issued by the US Mint can now be used to pay state taxes and are considered legal tender. Other states are following Utah’s example. 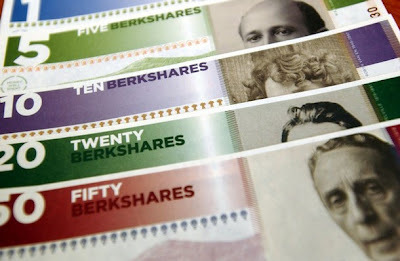 The most successful case of a contemporary American complementary currency are the “berkshares” from Berkshire, Massachussetts, which trade at 100 berkshares for every 90 US Dollars. Community banks act as currency exchange. One must then spend the berkshares at one of the more than 400 local businesses that accept the berkshare. Groceries, cafes, theaters, produce, pretty much all that is local can be purchased in the local currency. Businesses who accept berkshares are also encouraged to buy and trade with each other in order to take advantage of the 10 % discount that the local currency offers. Goods are bought and sold for the same amount in both currencies. What this ensures is that wealth stays local for the long term and that local products and services are given a priority over imports. It gives people a strong sense of communal pride, and keeps the community loyal and fiscally strong. It also gives small local merchants leverage against major corporations, since their goods can be purchased at a 10 percent discount. Both merchants and consumers benefit. More on the berkshares.org. Mutual credit societies have had popularity in Japan for some time, and these models are being replicated in parts of the US where great numbers of people have suffered persistent unemployment and have a need for alternative ways to pay for basic goods. The currency in mutual credit societies is usually time-based (an hour of labor or service) and can be exchanged with any person or business on the network, which is usually comprised of neighbors, family, and friends. In this way, the flow of goods within that community is facilitated and basic needs are much more easily met without relying on the wage-slavery system. In New York, the Ithaca ‘hour’ is one such currency. It’s currently worth ten federal dollars. One other way to stimulate a local economy, particularly in agricultural or rural communities, would be to go back to a previous age when the currency was set as tied to the value of a crop. The Aztecs, for example, used the cacao bean as currency. Units of corn, or other goods, can also be tied to a currency. The idea is that the currency must have some tangible value and not be based on debt. One negative aspect of crop-based currency, however, is that once the produce has gone bad the currency devaluates so that its value is affected by the freshness of the product, by weather, and other random factors. But we should not rule out crops, particularly in regions with a solid agricultural infrastructure. Crops might still efficiently serve as a seasonal currency, and should be used creatively and with other complementary currencies within a dynamic economy. 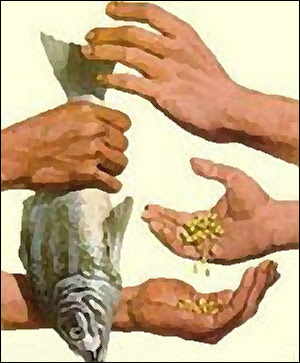 Public and/or cooperatively-owned granaries could serve as community banks, and the local agricultural wealth could provide additional liquidity to the community, since by its nature the currency must be spent or consumed within a fixed time range. 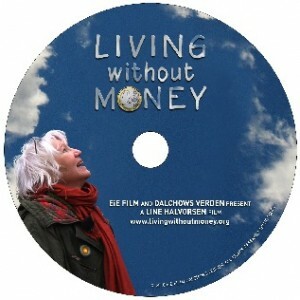 Some European communities have local currencies where an expiration or devaluation date on the bills has a similar effect, ensuring that money continues to circulate within the community. If the value of a crop can be fixed to a certain amount of time in terms of human labor, the currency goes from being seasonal to being a more comprehensive and dynamic expression of the community’s wealth, resources, and production. An hours-based currency implies a radical democratization and decentralization of the power to issue money, since all humans can produce labor, and therefore value. An hours-based community currency places the power to issue money in the hands of the majority, of the workers: it fully democratizes money, abolishes the monopoly on issuing a currency and empowers all workers as entrepreneurs and producers of value. It would give the people leverage against the current oligarchical corporatocracy. There have been other ideas that have been proposed and are being discussed, the most interesting one being the use of kilowatts as a currency. This would produce a huge incentive for people to generate their energy locally and cooperatively. Energy is universally needed and its demand has created some of the most powerful, and therefore some of the most dangerous, monopolies on Earth. The use of energy as currency would increase awareness of the imperative that both energy and the means to generate it should remain in the hands of the people, or at the very least it might generate awareness of how those who control it, control our civilization and stability. The same happens with the power to issue a currency. This all-pervading power is currently in the hands of an unelected cartel of private banks that does not participate in any way in our democratic process and is accountable to no one. The result of this is that, while banks profit daily and universally from everyone’s debt, we are helpless consumers and have no right and no means to begin a dialogue about how our currencies should serve and benefit our communities. Again, the more decentralized and democratized that the power to issue money becomes, the more social and economic justice there will be. I believe that we should move from the current money monoculture to a healthy ecosystem of local, state, and federal currencies. By creatively working with our currency paradigm, those of us that have been chronically underemployed may be able to turn the problem of corporations not willing to give us work, even as they dwell among us in our communities and make a huge profit, into the fulfillment of our highest aspirations and an opportunity for, at least, partial human emancipation from limitless corporate power. We may even be able to abolish wage slavery in some communities and allow people to earn a living wage while working 15 to 20 hours per week: Jacques Fresco proposes that this may be unavoidable some time in the future, as we are forced to reassess our entire notion of labor due to jobs going to China and India and to the machines we’ve created. Curiously, machines took the load off of the backs of horses and oxen, but when we allowed machines to replace us, we did not reap the liberating benefits that we saw with the partial abolition of animal slavery. We allowed machines to replace us, but continued to live under a dehumanizing system of human labor with continually diminishing wages for the majority of humans while the members of a wealthy class reaped the fruit of our work. Strong local economies where the most universally used and produced resources, and of course the machines, of a community are cooperatively-owned and lessen the load of human labor -as it should be- might be one way to abolish wage slavery, take us to a shorter work week, help us to regain dignity and realize a true living wage. As David Rothkopf in his book Superclass points out, ever since 100 million died in the last world war during the honeymoon of modern science and warcraft, overwhelming force has since fallen on hard times. The international banking cartel can’t very well go into a country and plunder its resources as it did yesteryear, but they can give Haiti or Zimbabwe loans at 29% interest. Unfortunately there isn’t an international banking bill of rights to prevent the IMF or World Bank from sucking the lifeblood, labor and wealth out of the most helpless members of the human race and enslaving everyone through debt. If the current debt based paradigm is to be changed sustainable currency ecology with numerous locally and democratically controlled currencies and strong community focused economies need to replace it. A community that can produce interest-free loans to its citizens for education and housing is less vulnerable to exploitation by corporate banks. Oddly enough Sharia compliant banks, prevented from excessive usury, are taking a larger and larger role throughout the Middle East and may provide a model to emulate. In the same way that a monoculture can be catastrophic to a farmer, whereas crop diversity protects farmers from losing everything, diversifying our currencies and means of exchange might also serve as a type of insurance against currency fluctuations. 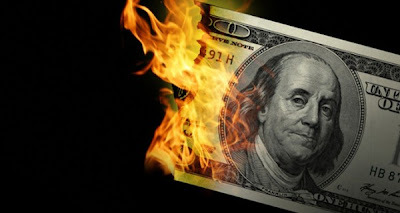 If and when the Fed is abolished, those of us that can’t afford to buy silver or gold these days and who don’t own land and other means of production, won’t find it so hard to adjust during the currency crisis that we may be facing in the near future. when his car business hit hard times. NOTE: Articles like this motivate we-the-usuryfree creatives to continue our self-imposed mission to do what we can to help usher in the new age of usuryfree living where everyone can live in peace, prosperity and abundance. The WIR is a leading example that usuryfree, mutual credit can be offered on a large scale. For eighty years a major not for profit, private currency has been operating in the heartland of Europe. In Zurich, almost nest door to the Bank of International Settlements in Basel, there is the WIR, turning over the equivalent of almost 2 billioon CHF per year. WIR was founded by businessmen Werner Zimmerman and Paul Enz in 1934. It was a direct response to the Great Depression. They built on the legacy of Silvio Gesell, whose thinking also was the basis for the famous Wörgl Scrip and today’s German Regional Currencies, like the Chiemgauer. Silvio Gesell is in fact the Patriarch of what I suggest should be called ‘German Economics’ or ‘Interest-Free Economics‘, the theoretical basis for the anti-usury movement. His analysis of Usury inspired both Gottfried Feder and Margrit Kennedy, two other leading lights of the European anti-usury movement. He also had interesting and much needed ideas about land reform. Where the Wörgl and the Chiemgauer were/are backed by national (banking) currencies, the WIR goes where nobody before dared to go: it is basically Mutual Credit. Mutual Credit based currencies are nowadays used in Barter organizations world wide. 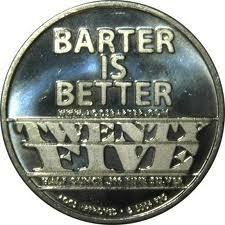 Barter in this sense is a misnomer, they do use a means of exchange but not the national currency. WIR is undoubtedly one, if not the first Mutual Credit facility in the world and most certainly the longest surviving one. Nowadays WIR turns over a little less than 2 billion WIR (1 WIR = 1 CHF) per year. Because many transactions involve maybe 25 to 50% in WIR while the rest is settled in CHF (Swiss Francs), real turn over generated by WIR is maybe up to three times higher. It has 1 billion of WIR in credit outstanding. Transactions are settled with the use of debit cards or with their on-line banking system. 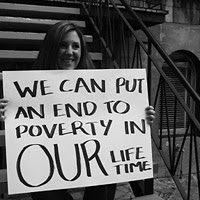 WIR is operated for the common good and not for profit. About 62,000 small and midsized businesses participate. There are six regional offices through the Swiss republic. WIR is especially important during downturns. Deflation and capital scarcity make businesses more creative and more willing to deal with WIR’s limitations. For our purposes WIR is important because it proves that Mutual Credit facilities have a viable business model. It proves currency can be offered at very low cost while maintaining a prosperous and professional organization over the long term. Notwithstanding its major achievements, WIR suffers from some significant limitations. In the first place it is not convertible to other units. This is a common problem with Mutual Credit based currencies. Until recently, the technology was not available. Amazingly, many people are so used to this situation that they do not even consider it a problem. They will claim that non-convertibility is actually a strength, as it forces participants to shop within the network. However, this is a mistake. Non-convertibility damages the liquidity (what it will buy) of the currency and liquidity is everything. As a result, many businesses accept only certain percentages in WIR. This hampers liquidity even further. Another problem is that consumers are not serviced. Only businesses can participate. This again badly damages liquidity: businesses cannot pay their employees in WIR, for instance. Just think of what is possible for modern units leaving these limitations behind them. Obviously, WIR is very important opposition against the Money Power. The Money Power can be expected to keep a keen eye on it and there are serious indications it has been resisting WIR actively. There is a persistent rumor suggesting the Banks have told WIR that things are fine as they are, but that they should not vie for further growth. This may explain why they have not developed a comprehensive strategy for consumer participation. Also, in the 1950′s WIR started to price its credit with interest. Even today interest rates are very low, with 1% rates for mortgages, for instance, but still. Interest is an affront to Gesell’s ideas. It hinders circulation, which was one thing very much on Gesell’s mind. The price for credit, even at 1%, is somewhat high for collateralized (and thus risk free) long term loans. It also lessens the power of the message: that interest free credit is not only possible but a fact. The last few years WIR has been starting to focus on more traditional banking activities, including ordinary loans in CHF. This has led Thomas Greco, a leading expert on Mutual Credit, to state that the Banking Cartel has probably found a way of getting its henchmen on WIR’s board of directors. WIR is a leading example for the entire world. 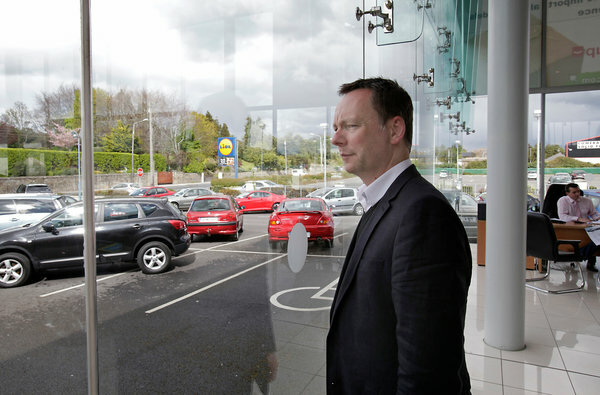 It has proven that interest free mutual credit can be offered on a large scale. It’s superior management was a key factor to its success: it was not a couple of dreamers that built it, but down to earth businessmen understanding the issues and the solution. It is not convertible and it has no comprehensive strategy to compete outright on a full scale with the Banking Cartel and yet it turns over billions per year. These limitations can nowadays be solved. Convertibility for Mutual Credit is now possible. A comprehensive strategy including consumers not difficult to devise. In this way the Money Power monopoly on currency can be assaulted. Regulators, inimical as they may be to these schemes, are left empty handed: there are no laws against Mutual Credit and they are very difficult to develop, especially against determined market players who understand what they are up against. Even though today WIR seems to have been subverted, it took the Money Power eighty years. It is fully possible for just a few thousand ambitious people world wide to open up their own initiatives and the Money Power could easily become overwhelmed. It goes directly at the heart of the matter: the Money Power’s control over the money supply and extortion through usury and the boom/bust cycle. In this day and age ofdeflation and stagflation, additional working capital is desperately needed by small and mid sized firms. Now, more than ever, are they willing to take a chance when they are offered a real alternative. The German Regional Currency Movement shows that it can be done even today. In Britain, too, many regional currencies are now starting, most recently in Bristol. This unit is not even circulating yet, but already 100 small businesses have signed up. They desperately need additional cash and new customers and Regional Currencies supply both. It is no use to wait until the Government cleans up its act. It never will. It is completely controlled by the enemy. Private initiative is the only hope we have. In fact, let’s face it: why would children of the One expect to have their lives be run by sugardaddies like Government? Private initiative is all there is. Private currencies, competing with the Money Power in the market place are the way forward. The world was conquered by a few ambitious men serving the Adversary. It is now time for it to be liberated by a few ambitious men serving the One.